Who doesn’t love the chocolates? 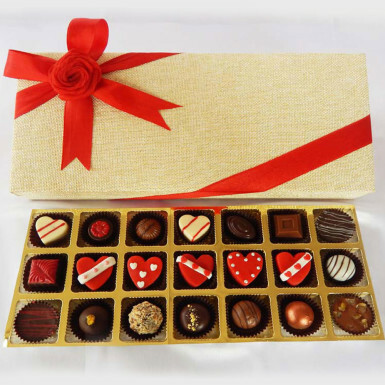 This is a gift pack of chocolates filled with choco truffles in heart-shaped to make your lady feel good. The rich & creamy smooth texture of the chocolate is sure to win the heart of your lady. So, present such a fantastic gift pack to the one who occupies a special place in your heart and see the sweet magic into your relationship. This mouthwatering chocolaty delight will leave your beloved craving for more. Order now to buy this for the love of your life.